and fun… don’t miss it! Yiddish Princess at Pete’s Candy Store! Cyndi Lauper meets Aaron Lebedeff in 1983. Boy George shares a L’khayim with Sholem Sekunda in 1981. Molly Picon and Phil Collins have a wild affair in Kishenev around 1984 or 1985. Yiddish Chestnuts through a faux 80’s filter. Looking to reconcile your love of 80s power rock with your love of traditional Yiddish music? Your search is over. Behold, Yiddish Princess in all its Yiddish belting, guitar wailing, synthed out glory. “From Italy to Broadway” on Thursday, December 11 at 7:30pm. A program by Jewish composers of art songs and standards, with pianist Jonathan Schwartz: sonnets from Dante’s “La Vita Nova” set by Mario Castelnuovo-Tedesco, Emily Dickenson poems set by Aaron Copland, Ladino folk songs set by Alberto Hemsi, and Broadway tunes by Kurt Weill, George and Ira Gershwin, Irving Berlin, Harold Arlen, and, of course, Leonard Bernstein. composer Salamone Rossi, presented by Prof. Joshua Jacobson. Admission: $10; $8 for students and seniors. Tickets available at the door only. Scores available for all participants. “Live at YIVO: Andy Statman Trio” on Tuesday, November 25 at 7:00pm. first night of Chanukah is Sunday, December 21, 2008. Where: The NEW Dixon Place, main theater space! pleasure in announcing a joint venture – The Magevet Concert. Universe from Hebrew, Yiddish and Ladino ballards to Ugandan Jewish tunes. will appear as part of the 11th Jewish Music Festival in Amsterdam, co-sponsored by the WIZO in December Singer Lucette van den Berg will appear on Dec. 20 singing Yiddish songs, a klezmer workshop will be held on Dec. 21 in the morning at Synagoge Enschede led byAnton Molenaar, and the concert by the choir at noon featuring western chazzanut with choir. 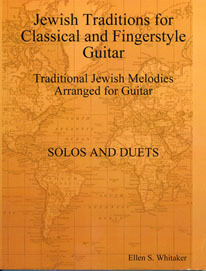 sings and tumults in English, Russian, French, and Yiddish. Trains: F to 2nd Ave., 6 to Astor Place, L to 1st Ave., Q to 8th St.
BORSCHT AND GRITS COMBINE when Margot leverett and the Klezmer Mountain Boys perform at Temple Emanuel in Reisterstown, MD, November 23rd. “Borscht and grits never tasted so good.” That’s a critic’s comment about the magical combination of traditional Yiddish klezmer music with the foot-stompin’ rhythms of bluegrass, as performed by Margot Leverett and the Klezmer Mountain Boys. The internationally acclaimed quintet will present a benefit concert Sunday, Nov. 23rd, at 4 pm, at Temple Emanuel, 909 Berrymans Lane, in Reisterstown. Playing with the band will be Steve Mandell (who lives in Pikesville), one of the two musicians who did the soundtrack for the Dueling Banjos segment in the film Deliverance. And Mike Munford, a local banjo master is also expected to attend. in which they explore the intersection of large combo Jazz and Yiddish dance music. Enseignement par petits groupes samedi de 13h30 à 18h et dimanche de 9h à 15h. Audition des élèves (publique, entrée libre) dimanche à 16h. Coût: 130.- Frs (110.- pour élèves de l’Accademis d’Archi), 2 repas inclus. 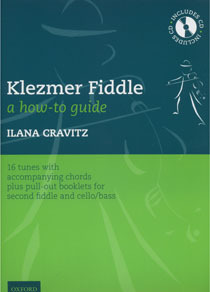 Info and tunes http://www.ilanacravitz.com/jams.html . Thursday, November 6 at 8:00p.m. 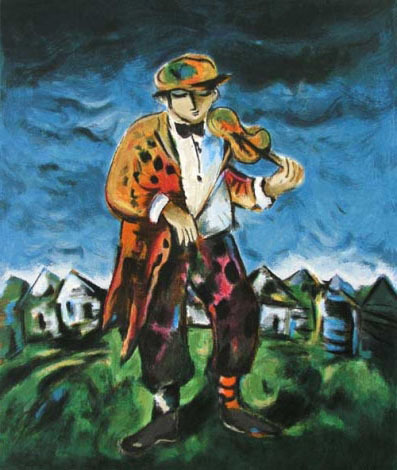 part of the city-wide festival Bernstein: The Best of all Possible Worlds. and Adolph Green, reveals a surprising transformation as a choral setting in Hebrew.